Are you feeling out of balance? It’s time to book your holistic wellness consultation! Jill offers in person services on Maui and distance via phone, Skype or FaceTime. Jill Barnattan is an integrative Herbalist and Registered Yoga Instructor (RYT 200). Her specialty is working with women and teens with stress, fatigue, anxiety, digestive ailments, menstrual related issues, insomnia and sensitivity to the environmental stresses of modern society. She draws from the East and the West including Traditional Chinese Medicine analysis, Ayurveda self care techniques and Western Herbalism. When you work with Jill, you may experience the powerful effects of herbal remedies, auricular therapy, yoga, abhyasa (spiritual practice), flower essences and nourishing foods. Jill holds a certificate as a Professional Planetary Herbalist from Lesley and Michael Tierra’s East West School of Planetary Herbology and is an herbal medicine making teacher and yoga teacher at the East West School’s annual herbal seminar. Commit to YOUR Vital Equilibrium TODAY! Jill’s scope of practice as a Clinical Planetary Herbalist is based on the cycles of nature and how they relate to the body. Nature affects our behavior as humans; in fact, Five Element Theory in traditional Chinese medicine views our bodies as individual ecosystems similar to a magnificent organic garden. A bio diverse garden needs healthy soil, ample sunlight, water, nourishment and air flow to attract beneficial insects, bees and organisms to create nutrient dense food. Similarly, our equilibrium is subject to internal and external factors. Keeping these analogies in mind, Five Element Theory assigns a function, color, taste, emotion and organ systems (both yin and yang) to each season. Like the garden, each element is interdependent on the others for their function. Therefore, when one becomes out of balance, the effect trickles down to affect one or more of the other organ systems. What can you expect in your holistic wellness consultation? Jill begins by listening, questioning and assessing patterns of imbalance according to ancient wisdom techniques. She works side by side with each client as a a wellness concierge and her goal is to provide each person with the exact program that suits their individual needs, including detailed lifestyle, yoga, nutrition, herbal and flower essence protocols. 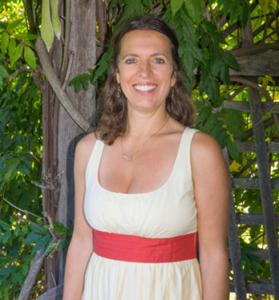 Jill advocates, empowers and provides self reliant tools and medicinal herbs rooted in traditions of Ayurveda, Chinese medicine and Western herbal medicine to enable clients to move toward their vital equilibrium. She offers several packages to foster ease, accountability and compliance from each individual. There’s no better time than the present to take the first step to reclaim your health and vitality. Malama (Take care) of your health and remember that personal Kuleana (Responsibility) is the key.